A sad human inevitability is that as we age our various bit and pieces will stop working so well and this is certainly true for our eyes. As we get older our eyesight will start to fail and at some point we will probably have to address this situation with some corrective eyewear. It is estimated that by the age of 45, a quarter of the population need reading glasses and by 55 this fraction increases to a third. Around half the population over the age of sixty wear glasses and unfortunately we are all heading in that direction. Perhaps you don’t mind the idea of being bespectacled but some people do, and for them the only alternatives are either squinting really hard to try and make out vague shapes in front of them, or wearing contact lenses – the latter is more practical. There are a huge range of spectacles on the market for the visually impaired. They are available in numerous prescriptions from those for people with just a slightly blurred vision, to jam-jar thick specs. A multitude of styles is also available from tortoiseshell to wire-framed and you can choose from just about any colour. However, some people just don’t like wearing glasses; they find them cumbersome and obstructive and don’t like the way they look – for these people there are contact lenses. Contact lenses are barely visible and are now very comfortable – so much so that people often forget to take them out when they go to bed as they forget that they are even wearing any. Contact lenses may be comfortable today but this has not always been the case. Leonardo DiVinci invented the notion of contact lenses in1508 when he mused about altering the eye’s corneal power by submerging it in water. Rene Descartes suggested a way to correct vision by attaching a liquid-filled tube onto the cornea; however this would not enable the wearer to blink so the idea clearly needed work. The first wearable contact lenses were developed by Adolf Fick in 1887 and they did help to correct eyesight, but they were made of glass so weren’t the most comfortable things to have in your eyes. 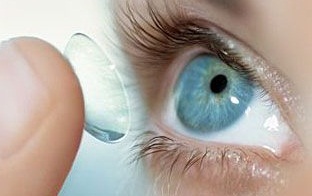 Thankfully today’s contact lenses are far easier to wear thanks to the fact that they are made of silicone hydrogels. These substances are permeable so allow oxygen to the surface of the eye which is essential to optical health. There is also a wealth of choice when it comes to contact lenses so you can choose the best ones for you. Today you can even add to your stylish outfit – not just with clothing and jewellery (www.johngreedjewellery.com is a great choice), but with different coloured and even patterned contact lenses. Spectacular!